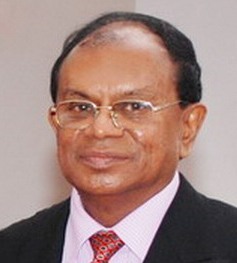 The Prime Minister D. M. Jayaratne may or may not be involved in any manner, directly or indirectly, in what appears to be the largest single haul of heroin smuggling in South Asia. We are not to determine the guilt or innocence of him, in any manner, as the JHU has been doing, and it is up to the judiciary to do so after a proper police investigation. But what was uncovered on 30 August in Colombo was a stunning 131 kilograms (288lb) of heroin, worth of several millions of dollars. When the smugglers responsible for the shipment, sought a letter from the Prime Minister’s Office, it cannot merely be for the waver of demurrage or tax. The letter was issued on 23 August. The collection of the shipment was overdue over a month by then for some reason and a letter in any form going from the PM’s Office could have persuaded or convinced the Customs and/or Ports Authorities to release the consignment without much checking. That is the usual bureaucratic culture in Sri Lanka. However, that was not to be the case in this instance fortunately, as the Pakistani authorities apparently had tipped off the Police and the Customs. It is now revealed that the PM have had lunch with one of the suspects of the smuggling racket and the heroine trade, most probably unknowingly of his exact business involvement, but it was apparently known that he was a businessman. The PM obviously do not dine with the ordinary folks; hardly if at all. It was during that lunch or on the sidelines, that sending a letter had been arranged. The two others involved in these interactions were a Pradeshiya Sabha member at Gampola and PM’s own son who is also a Provincial Council Member in the Central Province. Unfortunately, Mangala Samaraweera from the opposition bench had come forward to give a ‘bona fide’ to the Prime Minister. Samaraweera’s intention may be sincere, since many of the SLFP Seniors like DM Jayaratne have come under attack from the top and the rightwing political formations, but the error or the Individual Ministerial Responsibility of the PM in this instance is crystal clear. What is most unfortunate is what Samaraweera has said in Parliament. A petition by a citizen for a tax concession on the basis financial difficulty or because of bureaucratic mishandling cannot be illegal. For example, there may be bona fide cases on the part of Middle East returnees or even small business people, but not from the heroin smugglers. There should be proper and transparent channels for these requests. But when these requests or petitions are channeled through Ministers, they are obviously subject to political abuse or even corruption. When the Prime Minister’s Office issues such a letter even without verifying the bona fides, it is the Prime Minister and not the issuing officer that should take the responsibility. The Officer who had apparently sent the letter on behalf of the PM, Keerthi Sri Weerasinghe, resigned on 9 December. He was PM’s Coordinating Secretary. But who should have primarily resigned was the Prime Minister himself. That is how he should have preserved his claimed integrity and the dignity of the position. The age old dictum that ‘justice should not only be done; it must also be seen to be done’ also applies here. There is no point in appointing a Coordinating Secretary unless the PM cannot take responsibility for what he does on his behalf. All officers cannot obviously issue such letters, but only the assigned few. The gravity of the involvement of the Prime Minister’s Office in this scandal is highlighted by the fact that Sri Lanka is fast becoming a ‘Hub of Heroin Smuggling’ in South Asia. As the information reveals, while a part of this consignment coming from Pakistan meant to be for Sri Lanka, the other half was supposed to be distributed in India. According to the police, 53,000 persons had been arrested for drug offences in 2013 and over 70 per cent of those who are in jails at present are in for drug offenses. The PM should have been in the forefront of campaign against the drug trafficking and the drug abuse as the Minister in charge of Religious Affairs. He undoubtedly talked vehemently in the past against this vice in the country but should have continued to do so by gracefully resigning on the issue and revealing all the facts pertaining to the letter and persons involved behind. While the whole episode reveals something fundamentally rotten behind the present state of governance in the country, it is unfortunately not the main opposition which has utilized this issue and the opportunity, but the JHU and the JVP. Perhaps Sri Lanka needs a new political culture both from the government and the opposition. The motive of the JHU is undoubtedly suspicious on religious and other grounds as the PM has been critical of their activities and even suggested once that a special court should be set up to try the criminal charges against the culpable Buddhist monks, as the misdeeds were exorbitant. However, the JHU opposition to the PM is not a reason to defend the PM, and it completely ignores the fundamental issues involved. The JVP on the other hand has conducted a principled opposition on the matter highlighting that the Prime Minister is primarily responsible for what has happened in the Ministry under his supervision. The Coordinating Secretary undoubtedly is PM’s protégé and has acted according to his wishes and interests. The principle violated in this instance is the Individual Ministerial Responsibility or IMR. This principle is slightly different to the Collective Ministerial Responsibility (CMR) of a Cabinet or a Board of Ministers. Both derives from the principles of responsible government and rule of law which are increasingly becoming rare species in the Sri Lankan context. The collective responsibility means that if a minister cannot take responsibility for a collective decision of a cabinet he should resign. There is a classic definition about CMR by Lord Salisbury as far as in 1878. While the collective responsibility principle does not directly apply in this instance, what is intriguing is the manner in which Minister Patali Champika of the JHU behaves on this subject while in the same Cabinet of the Prime Minister without resolving the matter within it, in a Cabinet meeting. The President may be more responsible as the Head of the Cabinet, without asking the Prime Minister to resign or making a statement on the subject openly. It is possible that there are many ‘skeletons’ in the Cabinet. 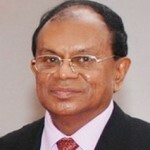 Although D. M. Jayaratne is the Prime Minister, he is more like just a Minister, or even worse, than a Prime Minister. This is one debacle of the presidential system which has largely distorted parliamentary democracy or democracy at large. It is also possible that the frustration resulting from this situation must have developed into lapses on the part of the Prime Minister to allow the others to run the affairs without much of his supervision. However, Individual Ministerial Responsibility applies to him without any excuse. The following is how one expert, Joanne Sellick (Constitutional and Administrative Law, 2010), explained the concept. Sellick also explains how the responsibility evolved into the principle of resignation in Britain starting with Lord Carrington and other two Ministers resigning in 1982 on the allegations that the British forces were not prepared when Argentina invaded the Falklands. The last instance that she has reported is when Beverley Hughes, Minister for Immigration, resigned in 2004 when a scandal regarding bogus visa cases became known although she was not directly involved, but responsible. A resignation in such an instance does not necessarily mean an end of a political career either. For example, she was appointed as Minister for Children in 2005 after the election. In the case of Sri Lanka, the ongoing drug scandal undoubtedly is big enough for the responsibility/resignation principle to apply. A resignation is a dignified way to assure the people that the Ministers take the mistakes, wrong doings or misbehavior under their supervision seriously and ready to account for. This is largely a Commonwealth practice and as the Chair of CHOGM, Sri Lanka has an abiding duty to follow such traditions and conventions. The presidential system is not an immunity to nullify such good conventions. Such resignations in the case of the Commonwealth countries are usually prompted by the Prime Minister or the Head of the Cabinet and in the case of Sri Lanka it means the President. Regime Change Not A Viable Solution ?